Filing Workers’ Compensation Claims for Stress | Johnson & Gilbert, P. A. Most people will admit to feeling stressed at work sometimes due to deadlines for important projects, an unhappy boss, pressure to rush to get tasks done, and other reasons. In some cases, the physical and psychological symptoms can make a person feel ill and unable to work. Unfortunately, Florida’s workers’ compensation laws don't allow individuals to receive workers’ compensation benefits for stress only. But there are some instances of exception, including for law enforcement personnel, firefighters, and other professionals experiencing unique circumstances. Stress can be debilitating. In many situations, it may anxiety, depression, insomnia, and other psychological symptoms. Florida law only allows for claims involving stress when it's accompanied by physical trauma that requires medical treatment. In other words, if you have physical injury that results in stress, depression or anxiety, the workers' comp carrier should provide medically necessary treatment for the mental condition. The physical injury must be main cause of your stress, and must be responsible for at least 50 percent of your psychological condition. Even if your physical impairment, such as a heart attack, didn't occur at work, it may have been caused by stress at work. This is why you may be eligible for workers’ compensation benefits. You need strong evidence from a licensed psychiatrist who evaluates you. This expert must utilize the criteria in the latest edition of the American Psychiatric Association’s Diagnostic and Statistical Manual of Mental Disorders for making a determination about the connection between your physical injury and stress. 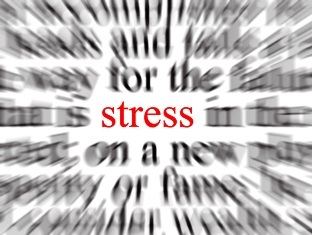 What happens if your stress at work causes you to suffer a psychiatric or mental condition? Unfortunately, it will be even more challenging to obtain benefits than if your stress was linked to a physical injury. For both types of job stress claims, you need the assistance of an experienced workers’ compensation attorney who can obtain the evidence you need and retain a qualified psychiatrist to prove your right to benefits. To discuss your case, call our office today and schedule a free consultation. Five years ago, I was diagnosed with seizure disorders. They have been controlled successfully with medication until recently. I've started to experience non-elpilectic seizures which can not be controlled with meds. Per my Neurologist, this is likely due to increased stressed. I saw an ENT for what I thought was an ear infection just to find out that the ear pain is due to muscle tightness from clenching my teeth, also due to stress. Is this something WC would cover?